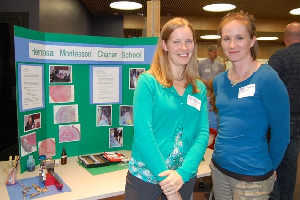 A closer look at Hermosa Montessori's evolutionary timeline. 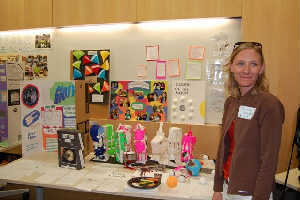 BioME Fellow Karie Decker displays 7th grade science projects developed during her year at Cross Middle school. 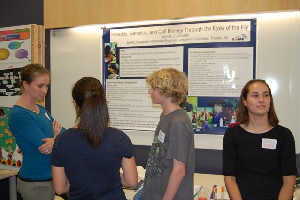 BioME Fellow Rebecca Franklin discusses a Drosophila research project with students from Rebecca Sampson's class at Catalina Foothills High School. 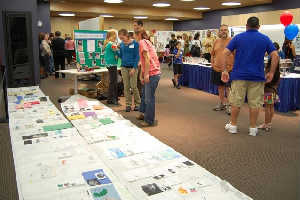 BioME Fellow Rebecca Franklin and her teacher partner, Kari Debbink, show how they used Rebecca's tree ring research techniques in the middle school classroom. 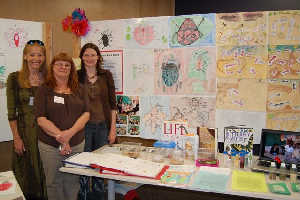 Rebecca Franklin shows graduate coordinator, Kathleen Walker, the evolutionary timeline developed by her students at Hermosa Montessori K-8 Charter School. 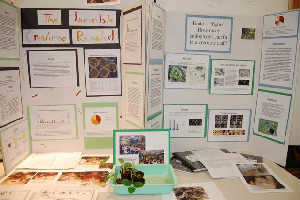 BioME Fellows Adriana Racolta and Bridget Barker collaborated to bring Bridget's research on fungi pathogens into Adriana's 5th grade classroom. 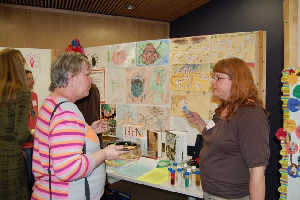 BioME teachers share ideas and activities. 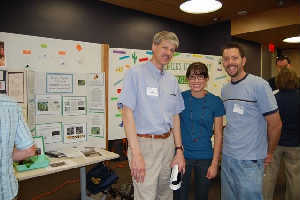 Graduate advisor Guy McPherson visits with his gradute student, BioME Fellow Christopher McDonald and undergraduate fellow Sarah Rios. 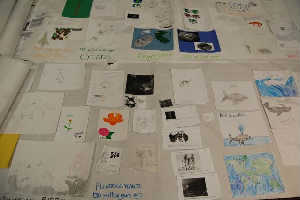 The BioME team at Lynn-Urquides Elementary School displays student work from the past year. 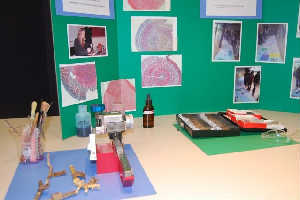 Tree ring research technology used in a middle school classroom at Hermosa Montessori.